Crowded Seas: What of More Blue Water Navies? The Chinese are often wrongly attributed a curse that goes: “May you live in interesting times.” While it may not be something Chinese people actually say, its cleverly ominous message has given it purchase. For the first time in my lifetime, I am wondering whether “interesting times” are on our doorstep. I experienced the last change in global order as an airman stationed at a US Air Force-operated airbase in England during the time the Berlin wall fell. Of course, that was viewed as harbinger of good fortune for America. Since then, there have been many major world events affecting the US, but none that threatened to fundamentally alter the geopoliticallandscape. 9-11 was quite traumatic and has had a long-term, and arguably continuing, impact on the US worldview, but it didn’t change anybody’s perception of the global order. True enough, by my definition of terrorism, which is the use of fear-inspiring tactics in order to have an impact beyond that which would be possible for the perpetrator using conventional means(diplomacy, military operations, “soft power” actions, etc. ), these attacks succeeded spectacularly. However, if we keep things in perspective, it is clear that those attacks were not world-changing events. There are alot of intriguing events afoot these days. They may turn out to be nothing, but they may also be the dawn of changing times. One sign of change can be seen in the apparent expansion of the number of states with blue water navies, or the expanded operations of those that already had them. The high seas are where great powers can figuratively, but possibly literally, bump up against each other. Russia is trying to reassert its former glory. This can not only be seen in the actions to build a buffer by acquiring some of Georgia’s disgruntled territories, but can also be seen in recent naval activities. The Japanese Ministry of Defense (MoD) released a white paper this week that gave extensive mention to Russia’s resumption of submarine patrols in the waters near Japan. 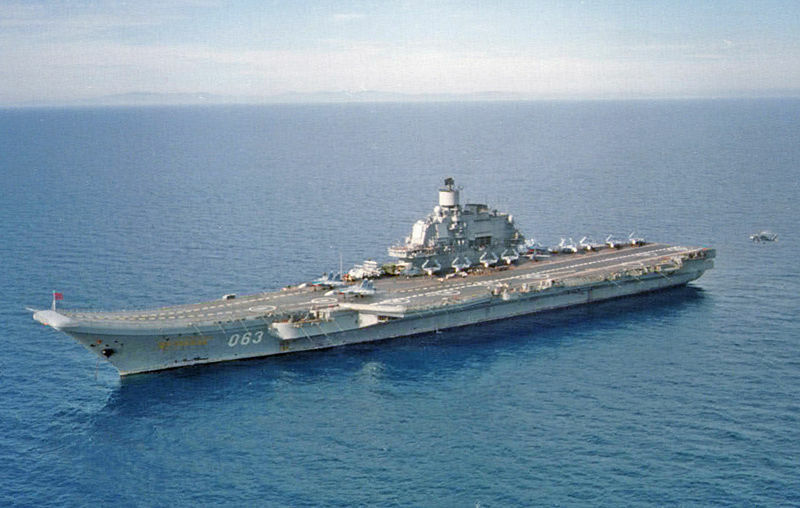 Also, Russia has apparently stepped up putting its ships in port in various locations within the Mediterranean, including the presence of the carrier Admiral Kuznetsov docked in Tartous, Syria. Russia has apparently conducted naval exercises in the North Atlantic this year. While this does not yet present a global projection of power, there is certainly a desire to show a widening area of operations. Russia’s planting of a flag below the North Pole in an attempt to stake a claim resources there provides an example of how expanding power projection can lead to disputed claims over resources. The US and an others have denied the validity of the Russian claim, but the point here is that if we do see an expansion in the number, and operational areas, of blue water navies, we may well see cases in which states with newly found capacity to defend their controversial claims over research rich areas become entangled. Competition for scarce energy resources is likely to become only more intense in the foreseeable future. Could a Real Carrier be Far Behind? The Chinese are also expanding their naval capabilities considerably. The aforementioned white paper by Japan’s MoD, expressed a great deal of concern about China’s actions to further its operating capabilities, and, in particular, to develop a nuclear powered submarine capable of delivering heavily loaded Submarine Launched Ballistic Missiles. The 2007 Department of Defense (DoD) report to Congress on the status of China’s military capabilities and doctrine devotes extensive discussion to naval capacity expansion- in addition to other developments deemed troubling such as Anti-Satellite (ASAT) capabilities and cyber attack units. 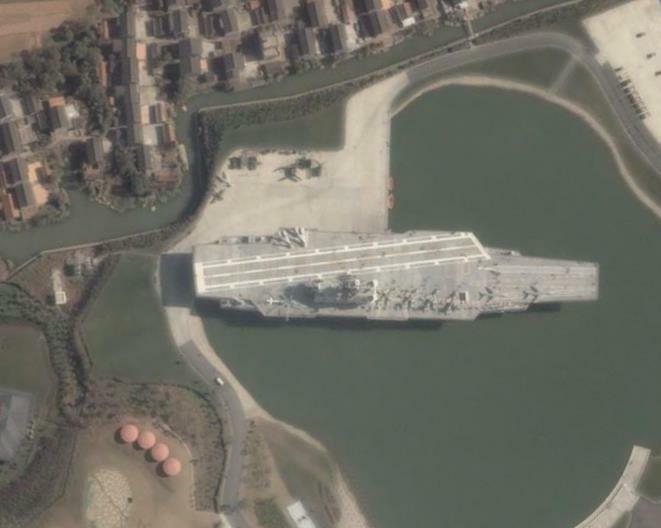 While the Chinese may have to settle for a landlocked concrete carrier for the time being (photo to right), there has been discussion of developing an actual carrier group. Such a development would definitely signal a change in intention from the often stated limited objectives of the Chinese government (e.g. preventing Taiwanese independence.) However, it seems likely that as China’s role in the world expands, so will it want to increase its ability to project power so as to defend its interests. China has been, and continues to be, largely on the receiving end of Foreign Direct Investment (FDI), but it is becoming a progressively bigger player in global economics and over a bigger area with investments in Africa and Latin America. Also, he People’s Liberation Army’s (PLA’s) Navy has been actively involved in exercises to develop the capacity to reduce piracy in the Strait of Malacca, and has a great interest in the unfettered operations of the shipping lanes that service Chinese industry. Much of the US defense establishment seems to be concerned about whether China is simply following a normal evolutionary path of a state transitioning global roles, or whether they are following Deng Xiaoping’s advice to “hide our capacities and bide our time.” It is not necessary to resort to paranoid conspiracy theories. Afterall, as many a Chinese nationalist is want to point out bitterly, the Chinese have done more than their part to build a bigger US military by buying up our government bonds. Of course, without doing this the dollar would have weakened against the Yuan, and the Chinese export position would have been diminished. (I am told that Chinese growth is not as export dependent as we tend to think. Yet, there is little arguing that the Chinese economy does better if they keep the dollar strong relative to the Yuan; and this is facilitated by buying up US bonds.) If the Chinese were hatching some plot, they might be less likely to underwrite US government spending, which includes military spending. This being said, objectives can migrate as a state’s position in the world changes. Even if China is true to its word with respect to limited regional ambitions, this may change as its role expands. This post will not even go into India, which is also developing a more substantial naval capability. There are also troubling issues such as the acquisition of submarines by states, such as Iran, that might be able to enhance their potential for mischief with such implements. The point here is that we are leaving an era in which few states had a capacity for global power projection- and no one else did it on the scale of the US- to one in which more states will have the capacity to stake claims and try to enforce them, and this will occur at the same time that the US is facing persistent economic vulnerabilities and other states are on the rise.